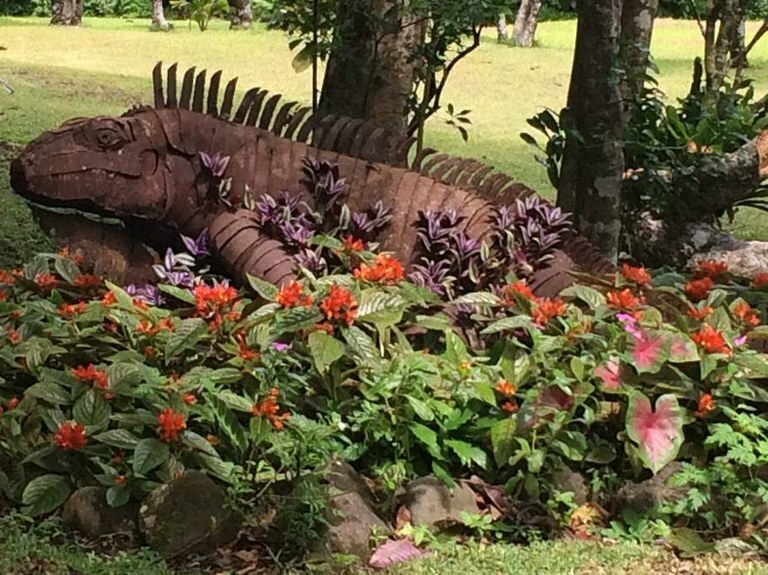 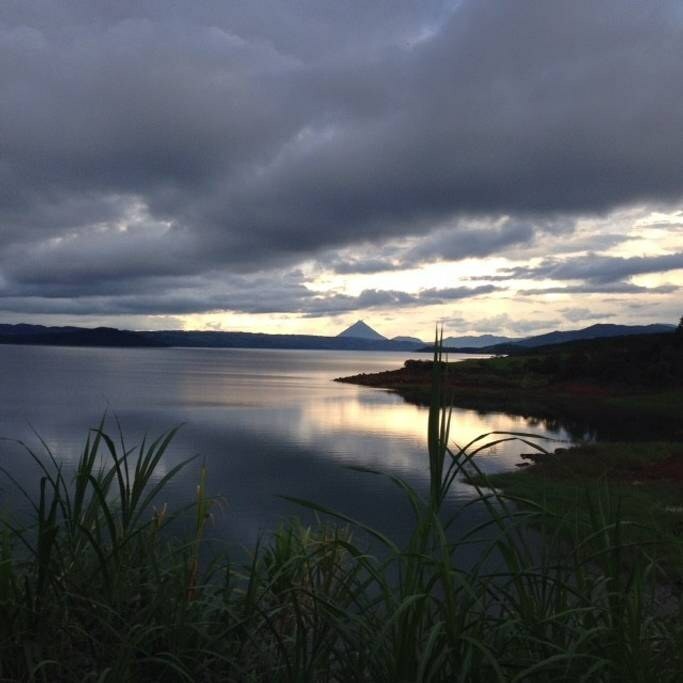 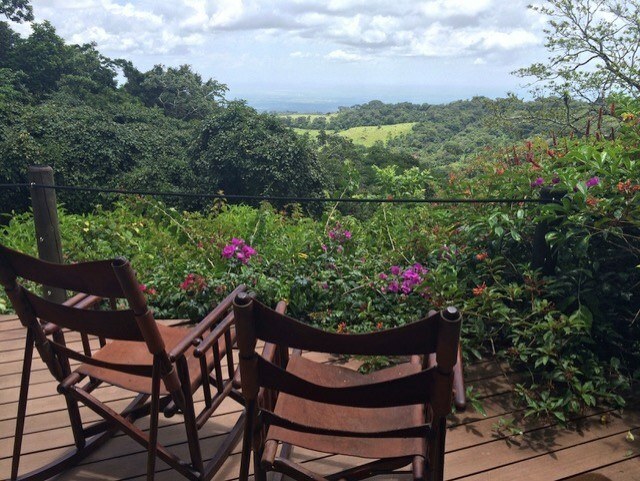 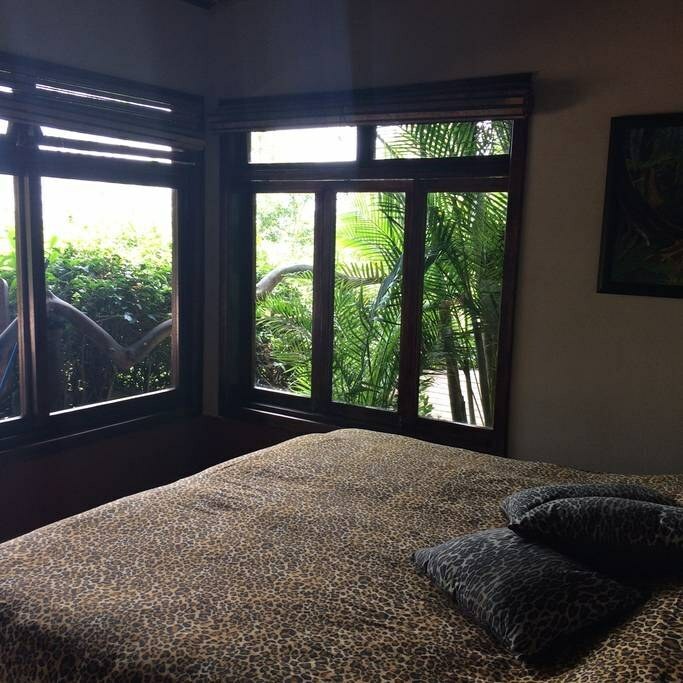 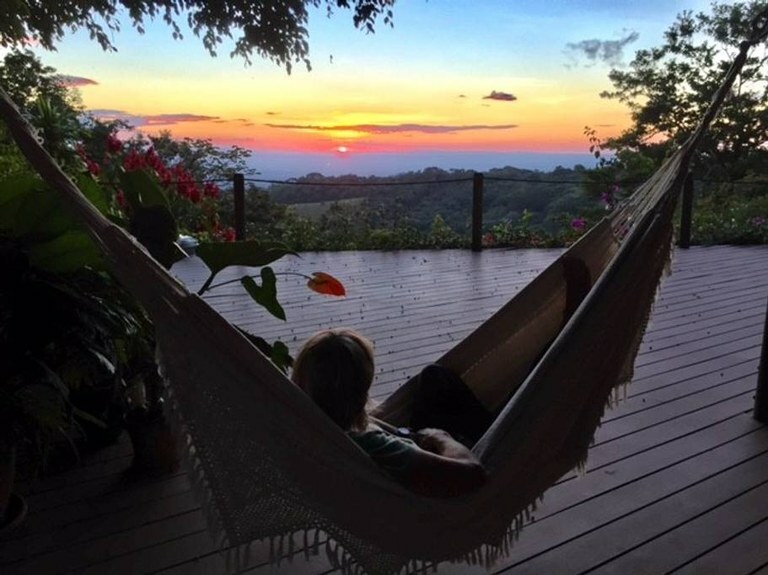 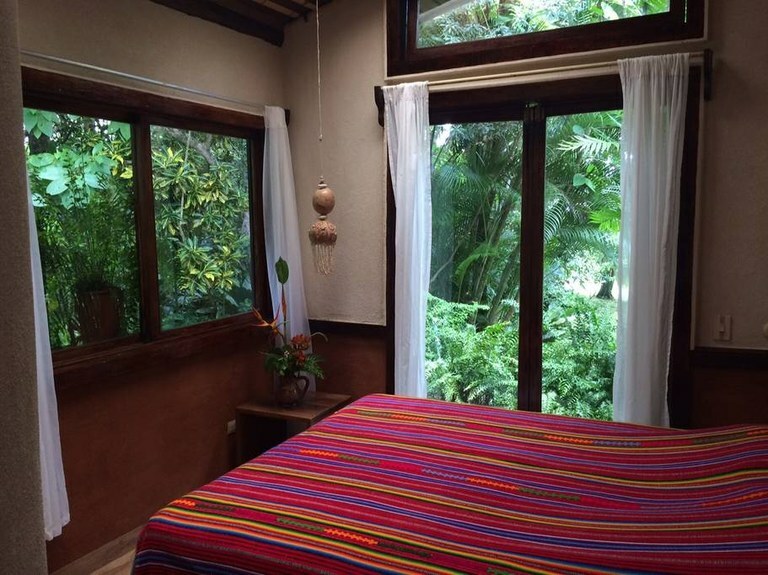 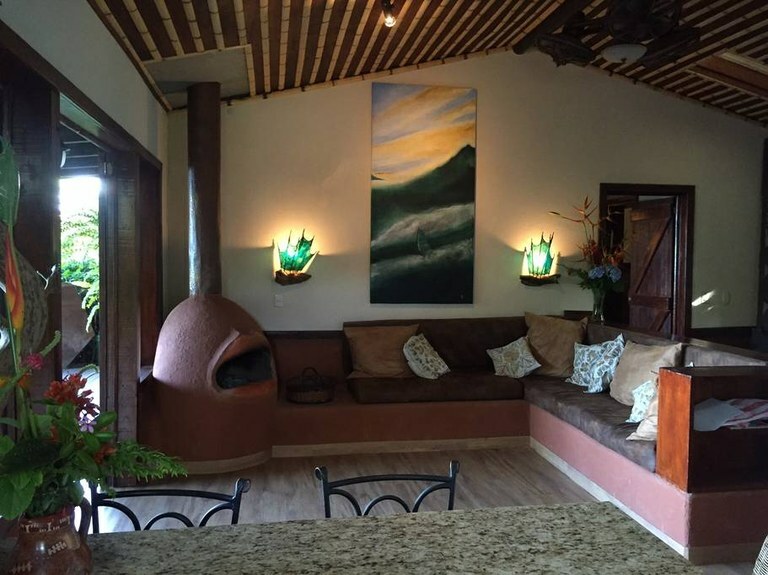 This artistic and cozy property is situated in a magical location, perched on the Continental Divide, with the Caribbean climate and Lake Arenal view to the east and the Pacific climate and sunsets to the west. 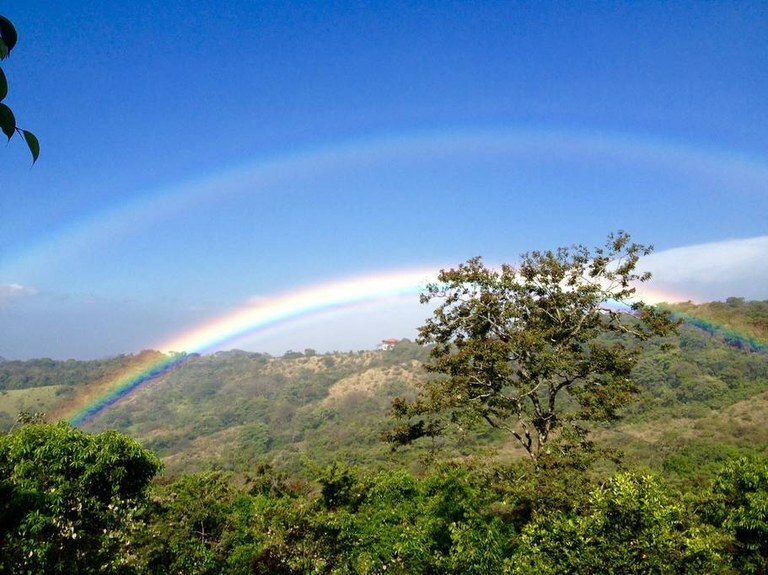 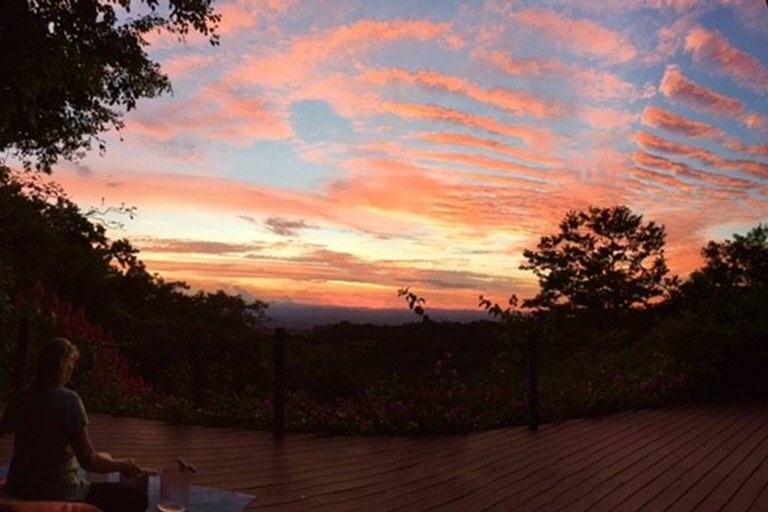 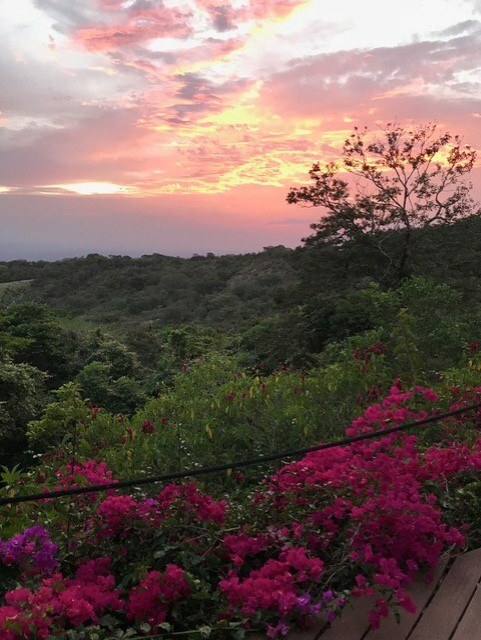 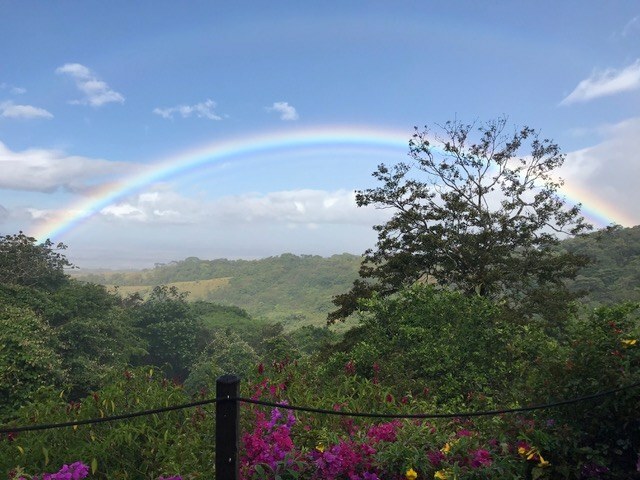 The houses and deck face west, where morning rainbows are a common occurrence and with a view over a 60-acre forest reserve and lovely expansive valley beyond. 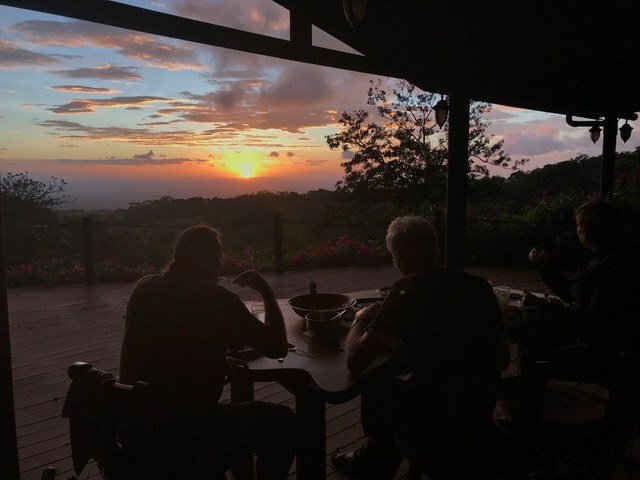 The houses are powered with the national electrical grid and grid-tied solar panels atop the main house along with a passive solar array, that provides hot water for both houses as well as two tiled hot tubs, also with a lovely view west towards sunsets. 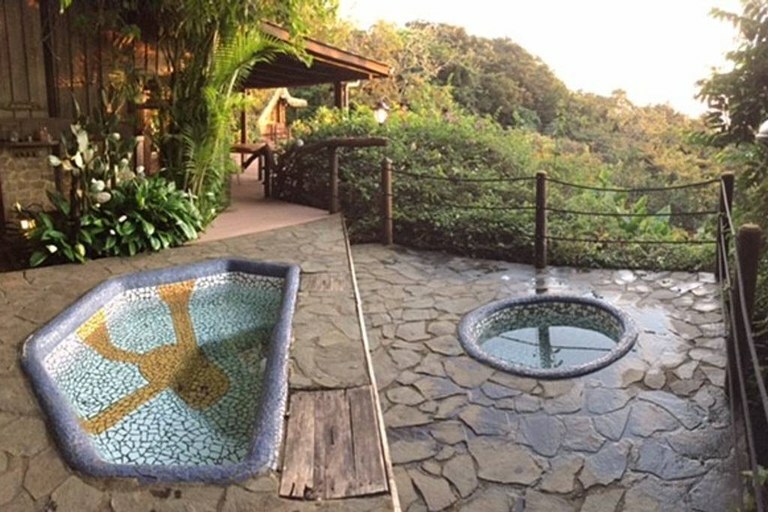 A large 120-gallon hot water tank stores enough water for both houses as well as the hot tubs and is backed up with electrical heating in case of consecutive days of cloudy weather. 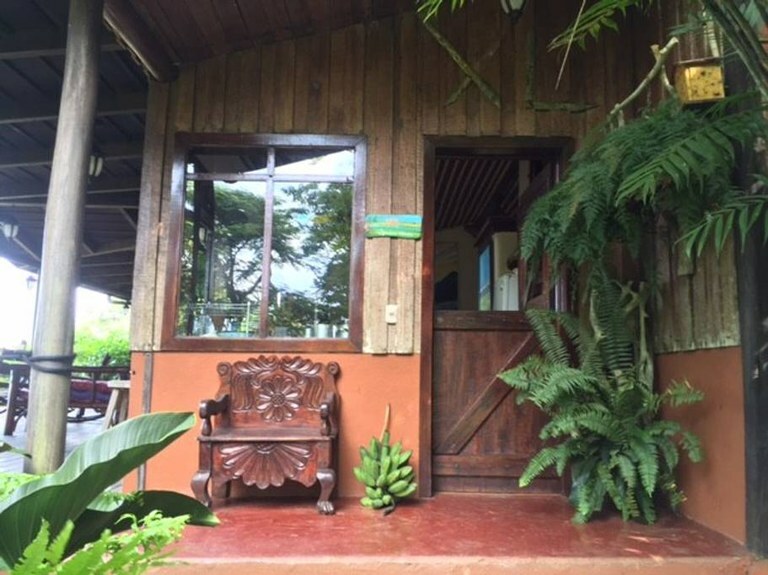 The Main house offers two bedrooms, two full bathrooms, and a kitchen. 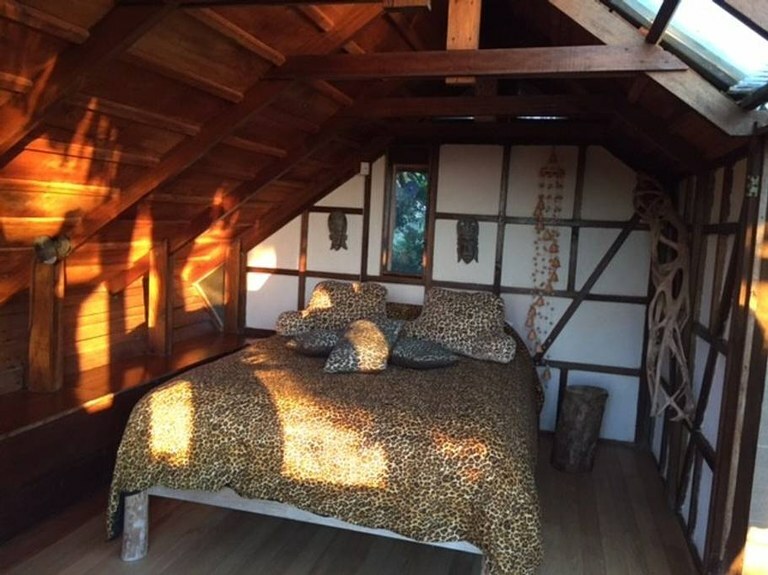 The cabin offers one bedroom and a full bathroom. 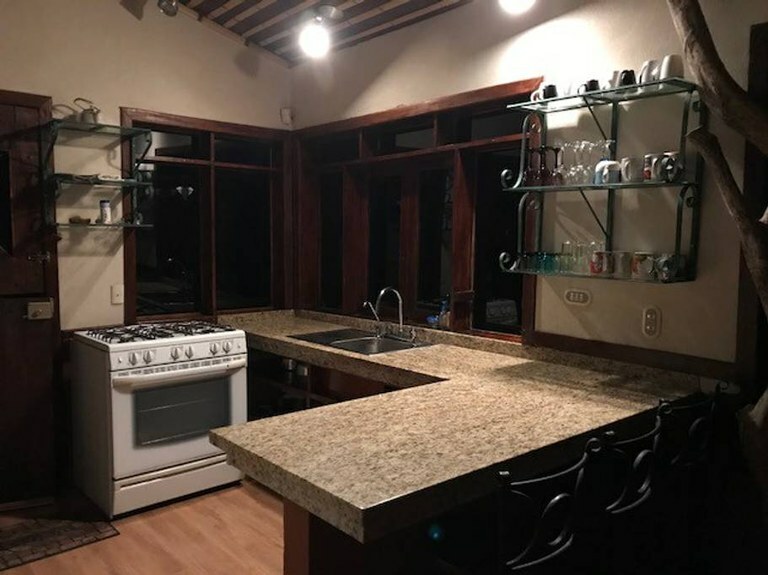 It is fully furnished. 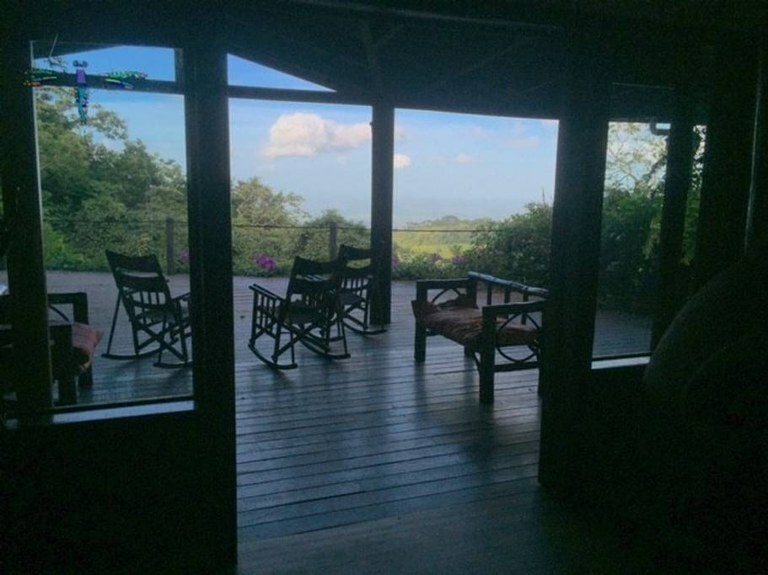 The property is supplied with excellent running spring water, shared and maintained by Happy Valley. 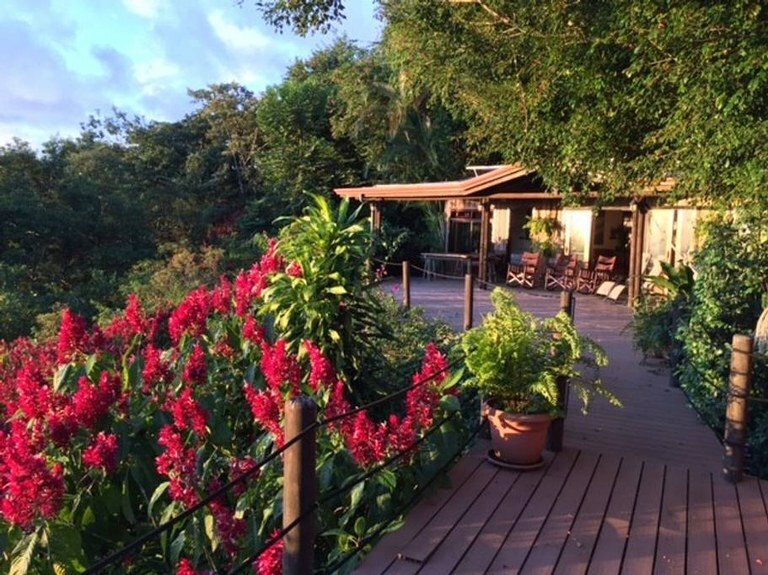 A 60-acre private forest reserve is included with the property, shared and protected with the other Happy Valley owners. 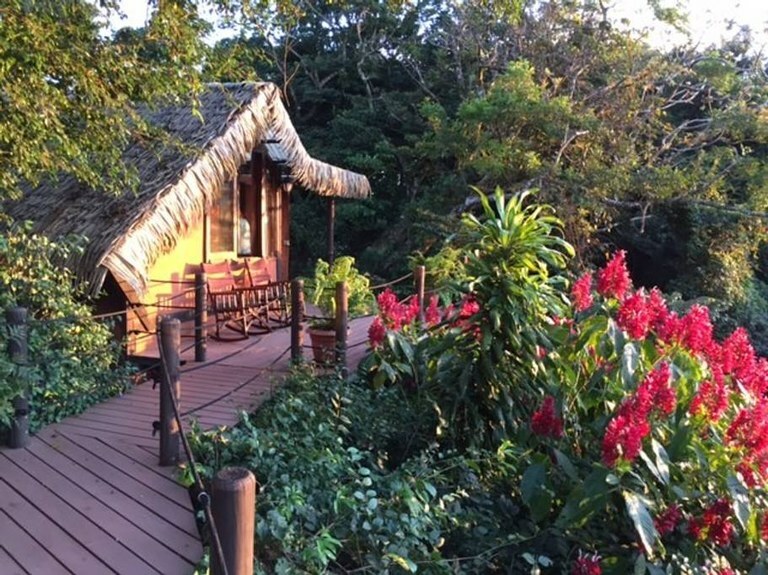 There is a well-maintained trail through the forest reserve with beautiful large trees and a plethora of wildlife.